AiYiYi, I got slammed last week with people talking about what they didn’t like about other’s behaviors and how they got hurt and how awful it was. Gloom. Despair. Agony. Everywhere I went, I kept running into it. Made my little brain go Squeak! And my heart wanted to hide. We form these ways of communicating and interacting with the world. They’re so ingrained and habitual that, if we’re not paying attention, we just sort of spew stuff out. For example… Someone did you wrong, a big Ouch blip on the timeline of your life. You say you’ve gotten over it, but when you’re talking with someone, opening up and getting to know them in conversation, you are able to repeat the whole experience. If you really let it go, would you still be talking about it? Sharing it? Reliving it? No. No, you would not. And I think some people are trapped there. Trapped in the Time of the Great Ouch. That’s so sad!!!!! And my brain goes Squeak! and my heart wants to hide. I’m not talking about those stories where something bad happened and then something was resolved. I don’t mind going to hell with you, if you bring me back out. I’ll be there with you 100%, I will. Or if you take me to hell and, together, we help each other climb back out. I’m there the whole of it, right with you. You take me to hell and you leave me right there with you. Seriously, why do we do that? Do you do that? Tell your Ouch Story to anyone willing to listen? All it does is make you relive it and feel bad all over again. And it really does feel really awful. And it makes those listening feel really awful, too. Is that why we do it? To share the awful of it all? It doesn’t really help, though, does it? In my experience, the only time it does feel better in those situations is when the Ouch is all out there in the open and people problem solve, help each other get beyond the Ouch. Nullify the Ouch. And you break the habit of having to repeat the story because it’s over. Really over and done with. And you’re free! What a lovely notion! To be finally free. Sometimes friends can’t help with the Ouch. Sometimes you need a professional to pull you through your hell. And then, you get to keep your friends as friends, listen to each other’s healing stories and ah-ha’s. Anyway, that’s what I’m going to try to do. Break that old Ouch habit and tell more healing stories and ah-ha’s…I’ve been thinking about how to accomplish that. Like…pay attention, Cammy, to what you’re spewing out of your mouth. And, it’s none of your business, Cammy, what other people are spewing. None at all, especially if they don’t want to get beyond their Ouch narration. Some people don’t and I just have to allow them that choice. BUT…if I can’t handle the spew, if my brain goes Squeak! and my heart wants to hide when I hear the Ouch stories, then I’ve my own choice. I can either stay away from the Ouch Storytellers, or I can request a Happy (or Ah-ha!) Story from them instead. I bet if they tell me a Happy (or Ah-ha!) Story, they’ll feel a lot better than if they retold the Ouch. 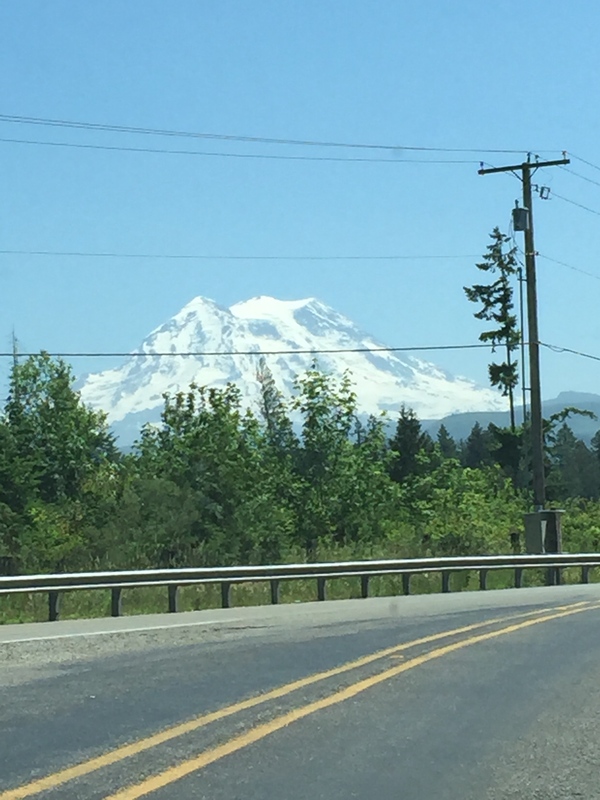 I leave you with a couple of Mt. 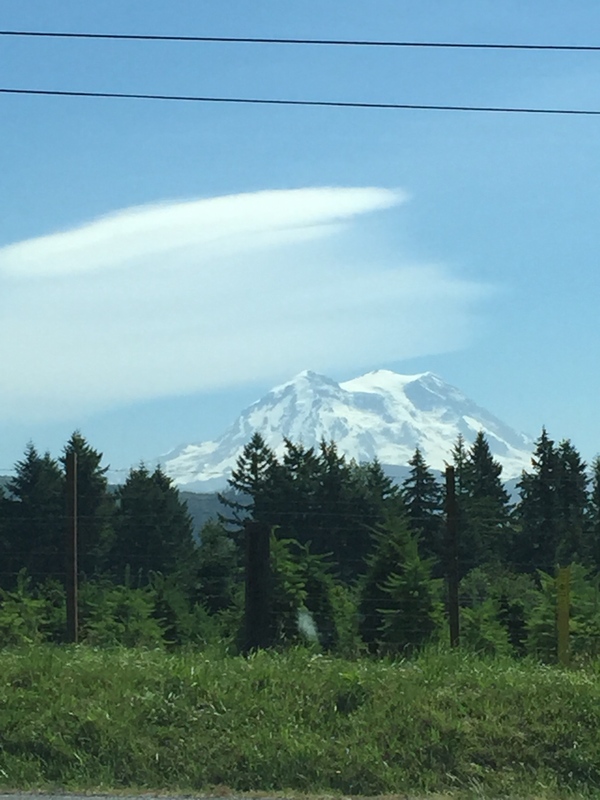 Rainier pics. He’s been particularly handsome this week. 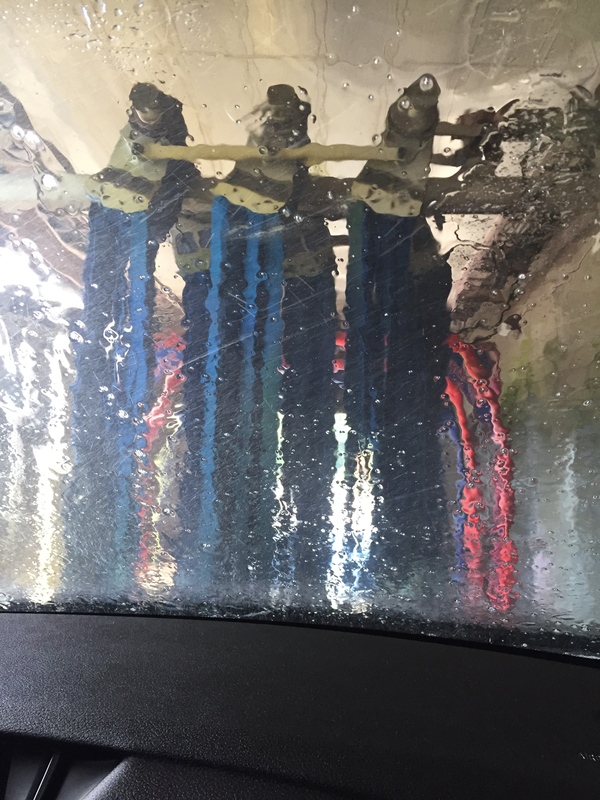 Oh, and how about a trip through a car wash?? I was going to make a movie of the carwash experience, but thought I was overdoing it a tad.